This is where it all happens! 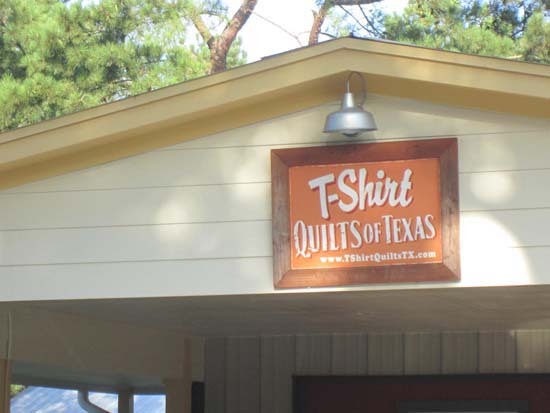 As one of the premiere t-shirt quilt companies in the country, we thought you might like to take a peek behind the scenes here at T-Shirt Quilts of Texas. 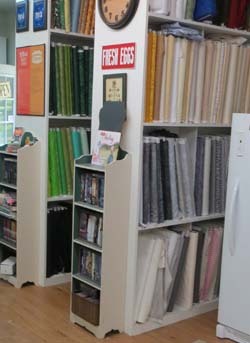 Lots of fabric and fabric lines in house ready for your quilt. 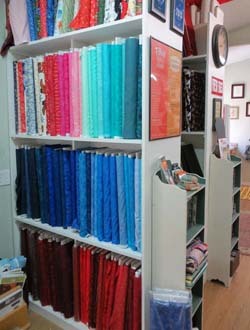 Over 700 bolts of fabric in stock. Quilt on the machine being quilted. 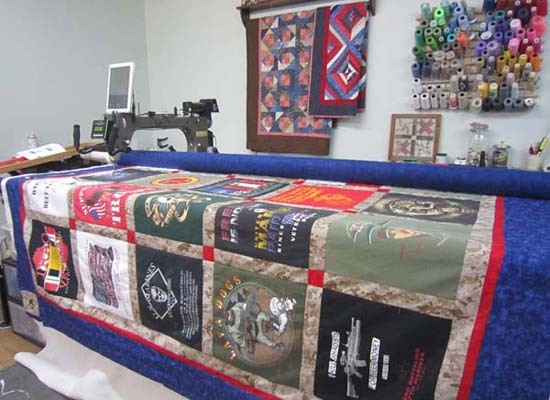 We use a heavy duty Gammill Longarm Machine, upgraded to include the IntelliQuilter computer. 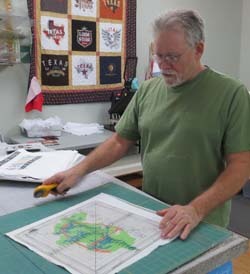 This computerized aid enables us to produce quality quilting at a reasonable price and enable YOU to have a quality quilt with quality quilting. Engineer hubby prepping the shirts. 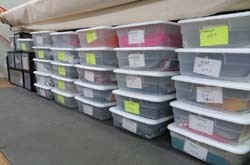 All shirts are kept in their own personal Project Box from the time it arrives at the studio. 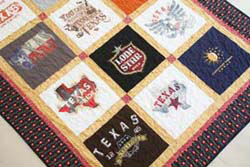 Once the t-shirt blocks are pieced into a 'quilt top' it moves to a hanger and waits it turn to be quilted. After that, we just need to do the final step of binding. This is the fabric that wraps around the raw edges of the quilt and gives that final professional touch.